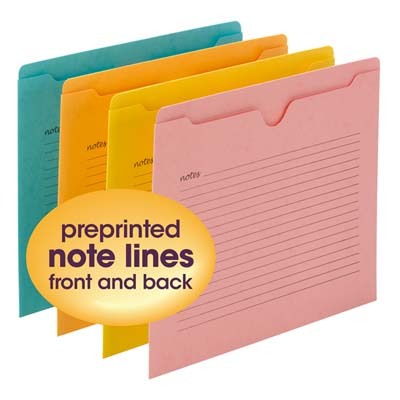 Notes File Jackets eliminate messy scribbles or sticky notes often placed on the outside of files. 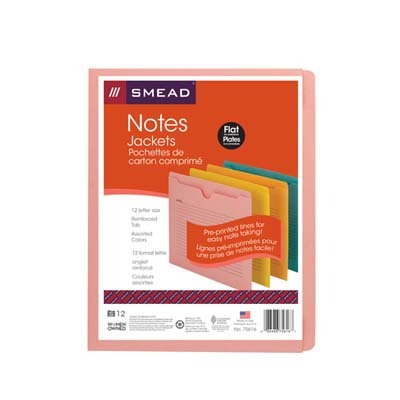 Keep track of important information directly on the lines on the front and back sides of the jacket. 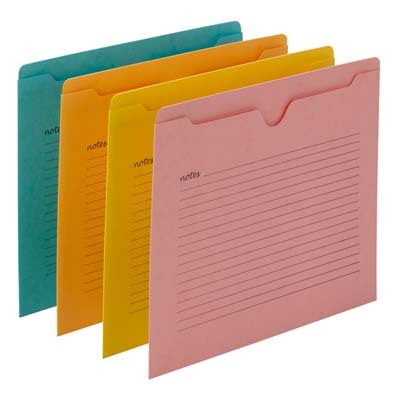 File jackets are closed on three sides for document security and keeping those small incidentals contained. 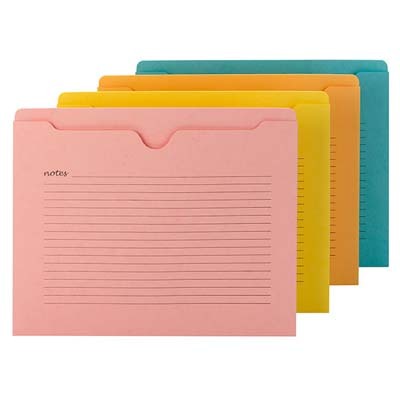 Great for taking files out of the office. Reinforced tabs for extra durability.